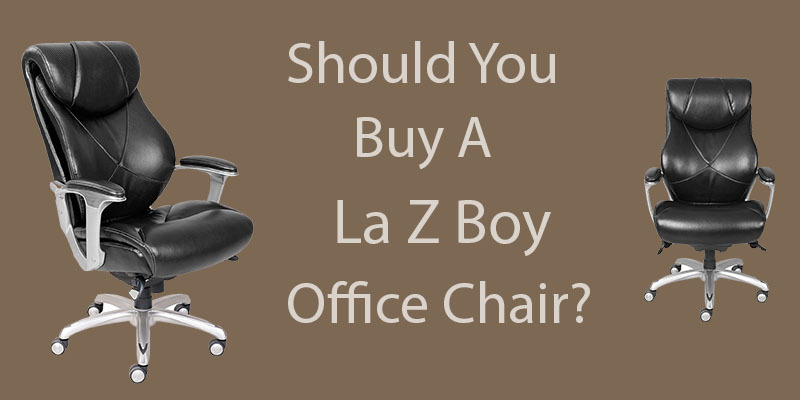 » La Z Boy Office Chairs – Should You Buy One? La Z Boy Office Chairs – Should You Buy One? 1 What Can You Expect From A La-Z-Boy Office Chair? What Can You Expect From A La-Z-Boy Office Chair? 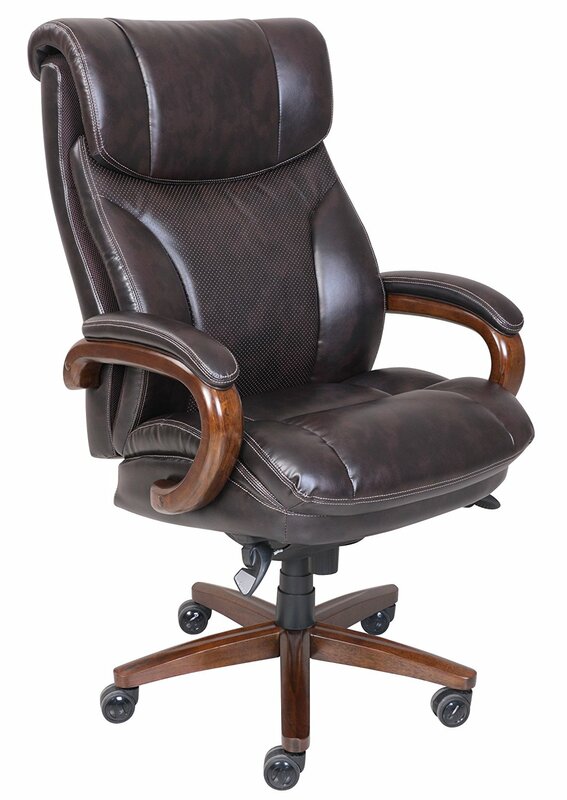 Although there are plenty of choices to out there when it comes to finding a good quality office chair, lazy boy office chairs meet many of the criteria that are to be commonly expected in an office computer chair. Above all, things like comfort, durability, proper fit as well as ergonomic principles should be incorporated into such a chair. Choosing an office chair that you plan to spend countless hours performing repetitive tasks should allow you to feel well supported and stable while encouraging good health. When choosing a seat to rest your body in, you'll want to find the right balance of plush cushioning with optimal firmness for exceptional support and comfort. La Z Boy has nice selection of office chairs to work with the decor of plenty of play or workspaces including the Delano, the Cantania, the Hyland, the Fairmount, the Trafford, and the Bradley, just to name a few. These come in standard and big and taller sizes. Keep reading to find out the 2 unique advantages for choosing a La-Z-Boy chair. Before we list all of the reasons how indeed the build of lazy boy office chairs can nicely accommodate these types of seating needs, let's take a minute to appreciate the long and successful history of Lazy Boy Furniture as a high-quality furniture manufacturer. Lazy boy office chairs have been developed and created by a company with a long history of producing home and office furnishings. They are probably best known for their world famous recliners that were inspired as early as 1928. For 85 years, La Z Boy has been not only producing but also perfecting these amazingly comfortable chairs. 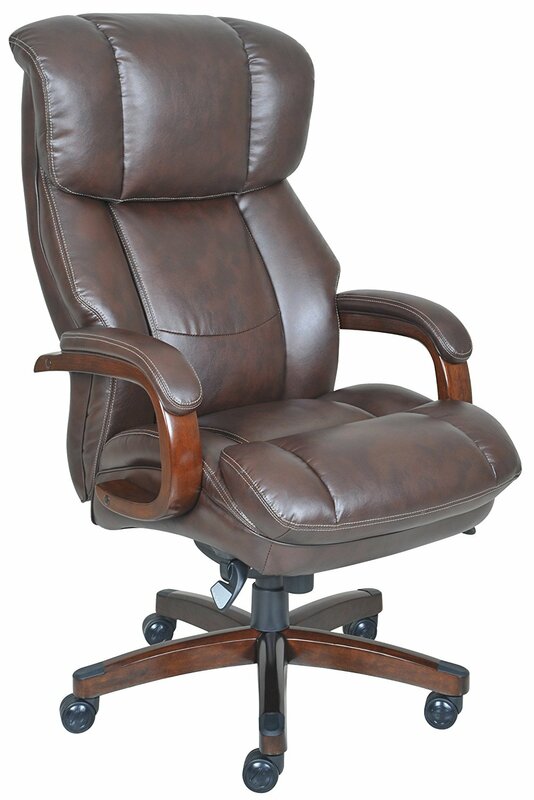 Even when it comes to lazy boy computer chairs, very similar methods and materials are applied to their line of top quality and comfortable office chairs. Comfortable. The cushions on these chairs are multilayered foam. They are carefully placed in areas where you need stiffer support and in other areas where you need softer cushioning. You will find the headrest and armrests to be generously padded. Good Buyer Ratings. It's a safe bet to have a look at the consumer star ratings when choosing an office chair. Lazy Boy office chairs have great buyer ratings. On average, these chairs are rated from 3.9 all the way up to 4.3 out of 5 stars. Visually appealing. These chairs are beautiful to look at. A rich bonded leather covering combined with a classic wood finish. The warm colors and the aesthetically pleasing contours add a charming addition to any office space. Solidly Constructed. All of the materials and pieces for the assembly of these chairs are subject to strict quality control. Many users have attested to the solid feel of these chairs when it comes to supporting them. Reasonably Priced. 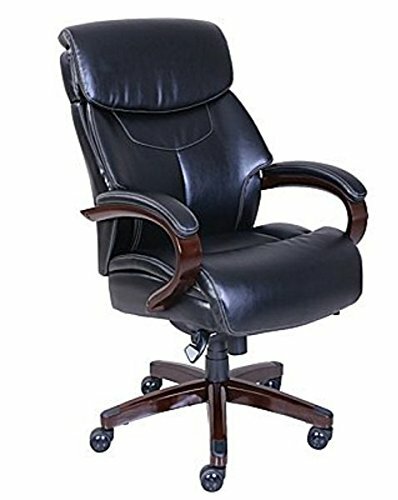 If you are trying to find a happy medium between a $50 office chair and a $1500 office chair choosing a lazy boy office chair may be a great option for you. Depending on the style you choose and your size requirements, you can expect to pay between $250 to $500. 10 Year Limited Warranty. As expected from an industry leader like Lazy Boy, most parts have a 1-2 year warranty but some of their parts are backed to last for up to 10 years. This says a lot about the kind of confidence you can have in lazy boy office chairs. Ergonomically designed. The plush body pillowing is strategically-assigned. The padded headrest provides gentle neck support while minimizing pressure points that relief from the discomfort caused by prolonged sitting. The backrest is curved to support the spine and the seat has a waterfall edge which helps to encourage good circulation. Big & Tall Sizes. 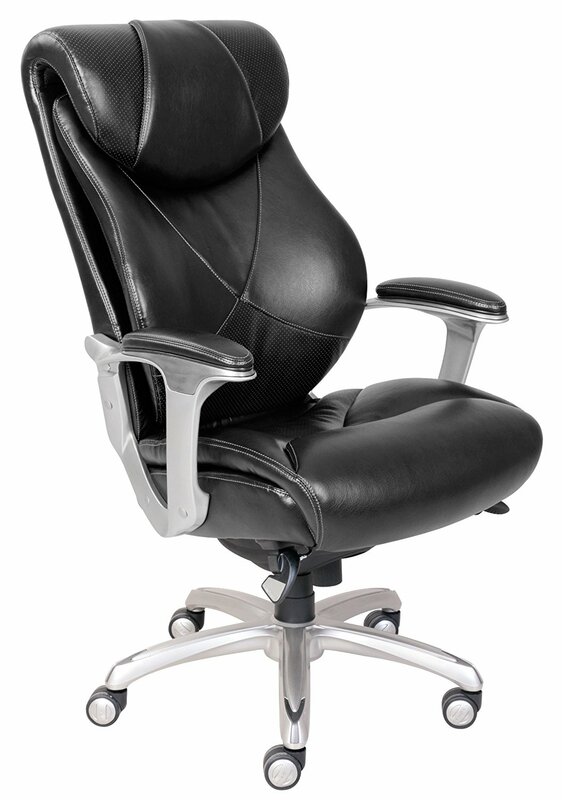 Do you require an office chair with a higher weight or larger seating capacity? Lazy Boy also has a line of chairs in larger sizes. 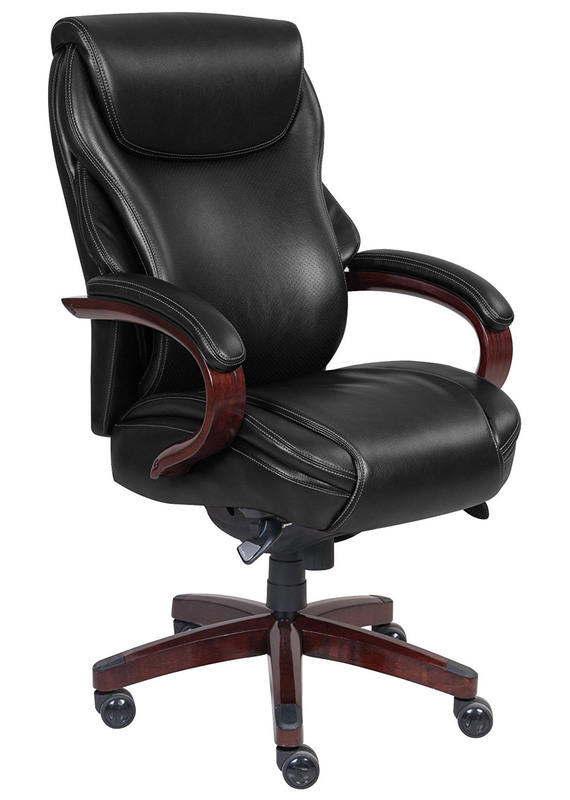 To see our complete list of big and tall office chairs, simply click the link provided. Safety. All chairs must meet or exceed BIFMA testing standards. Built for stability while allowing for balance and free movement. To enhance your level of comfort and ergonomic benefits, lazy boy office chairs have 2 special advantages that make them worthy of consideration. No longer limit yourself to a chair with a molded backrest which depends on its original core structure for ergonomic shape. These tend to remain in a static position during movement as commonly found in standard office chairs. Many lazy boy office chairs include air lumbar technology (ART). This state-of-the-art therapist inspired technology provides a layer of cushioned air that is independent from the backrest support and is free to breath and flex with your movements.. The longer we spend in our chair the more likely we are to shift our position from time to time. The ART technology will give your back and shoulders a zone of flexibility that continually adjusts as you twist and flex, while helping your spine maintain a positive neutral position. Especially if you tend to sit for extended periods, this type of dynamic lumbar support could help prevent injury as well as reduce the kinds of strains associated with sitting in an office chair. Obviously the seat of the chair supports the majority of your weight. We know that as we sit in a chair we also compress the cushions. How can we find the balance between maintaining a firm support and at the same time having these cushions comfortable and welcoming? To solve both of these challenges simultaneously, La-z-boy office chairs have incorporated their Comfort Core TM Plus system which divides the foam cushions of the seat into multi-zoned cores. Each layer consisting of the right density of foam appropriate for its zone to combine into a very comfortable and healthy seating position. There are generally 4 to 5 layers, each with a specific purpose within the seat. If your are interested, the 5 layers from top to bottom consist of a firmer support cushion for the foundation, 2 more layers of middle grade, a layer of memory foam, topped by a soft poly fiber fill for ultimate comfort and support. See the pic above. 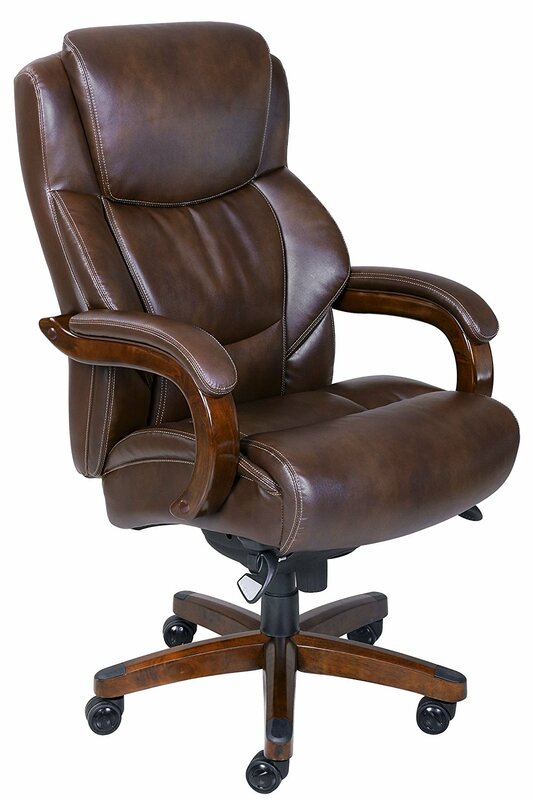 Finding a quality computer chair that is comfortable, stylish, and ergonomic can all be found in the case of a lazy boy office chair. Hopefully with the information provided, you are able to make the decision when choosing the best office chair for your needs and budget.